Ghost Tours are a sure way to have you losing sleep and questioning outside spirits quickly following departure. 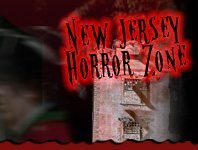 New Jersey's guided ghost tours will bring you to some of NJ's truly haunted hot spots, featuring real ghosts, spirits, and ghouls, OH MY. If connecting with the spirit world and exploring haunted history sound like a ton of fun to you, than you won't want to miss out on going on a Ghost Tours this Halloween Season. Lead by passionate experts, even if you set out on a tour knowing little, you'll leave with an educated understanding of New Jersey's haunted past and even a handful of stories to share with your friends – if they're not too terrified. If you're in for a real genuine scare, than head out on a ghost tour this Halloween season - who know, you might even encounter a local ghost!